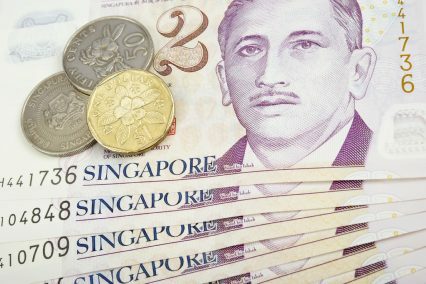 SME lending platform Validus Capital and asset manager Lighthouse Canton are set to reopen their trade finance fund for Singaporean SMEs with double the capacity, now worth S$40mn (US$29.6mn). The LCV Trade Finance Fund will invest in SMEs that are suppliers of government-linked companies and large corporations. It was soft-closed in March following its initial launch in June 2018, having been fully deployed to Singaporean SMEs across a diversified spectrum of sectors, with the largest exposure in the construction, manufacturing and marine industries. With both companies based in Singapore, loans will continue to originate from Validus Capital’s peer-to-peer (P2P) lending platform, while Lighthouse Canton will bring in global accredited investors and get them access to the SME asset class. Existing Lighthouse Canton clients will be given priority to invest in the fund ahead of June, when it will be open to new investors. The fund’s target investors are accredited ultra-high net-worth individuals, family offices and institutions. A spokesperson for Validus tells GTR that given that most financing facilities will have short tenors, the fund will be able to redeploy the capital across multiple SMEs and diversify its portfolio in that way. The Validus online marketplace is powered by a proprietary platform and uses a cloud infrastructure as a delivery mechanism. It uses data analytics, machine learning and artificial intelligence to minimise fees and logistical hurdles. The company raised S$20.5mn (US$15.2mn) in an oversubscribed series B funding round in February, led by Dutch public-private development bank FMO. The LCV Trade Finance Fund posted annualised net investment returns of 6.38% and 7.53% for the Singaporean dollar share class and US dollar hedged share class respectively, as of February 2019. Of the fund’s redeployment, Sanket Sinha, director at Lighthouse Canton, says: “Many investors are looking at ways to diversify their investment portfolio, capitalising on Singapore’s and Asia’s strong economic growth. Since the launch of the fund, we have observed a steady rate of return. According to Validus, eight in 10 SMEs in Singapore do not qualify for traditional financing, resulting in almost S$20bn (US$14.8bn) of unmet financing needs. A 2018 International Chamber of Commerce report predicts that world trade flow will reach US$19tn by 2020, much of which will be driven by SMEs that are often capital constrained because banks are unwilling to lend to them. Many of the world’s biggest banks openly acknowledge the large, underserviced market of SME exporters. However, they are grappling with the challenge of high onboarding costs compared to the revenue opportunities of relatively small-scale loans, along with the cost of compliance with post-crisis regulation such as Basel III, know your customer and anti-money laundering requirements.